"Premier Portfolio Builder is the number one choice above all other investments to create financial freedom to help you live your life your way." Making conceptual dreams a reality by delivering maximum value to our clients in an easy effective and efficient way. We will manage all the aspects of the process from purchase through to refurbishment and the ongoing lettings and management, cost effectively and professionally. Premier Portfolio Builder is a Property Portfolio Building service, where we carry out the Complete Property process for our investors. We manage all the aspects of the process from purchase through to refurbishment and then ongoing lettings and management. This is such an easy process for our Clients, as they do not have to be involved in the tedious and time consuming day to day processes. As soon as you are ready to begin we implement our systems immediately and what is required is done for you, making it a completely 'handsfree' service for you. Throughout the process we offer the best possible property solutions to your current situation and future goals. Our team also consists of FSA regulated mortgage brokers, who provide the best products,services and financial advice for our clients. Premier Portfolio Builder has taken the concept of 'handsfree' Property Portfolio Building and embedded reality in to it. We have done this process many times for our clients, and we have a trusted track record. You can simply Click here to view some of our Client Testimonials. Delivery of excellent returns on your investment. We do not buy low rental properties. We do not buy low yielding properties. We do not buy properties in the wrong area. We do not have transient tenants. We do not buy new build or over priced properties. We do not Leave you part way through the process. You Have funds available to invest. You want to Benefit from our teams Knowledge, Experience and Contacts. You want the Process done for you with ease. 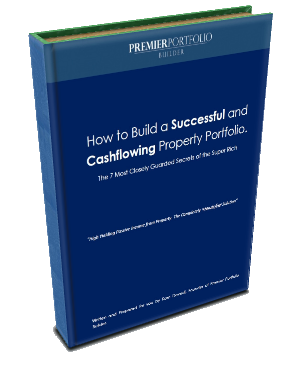 You want the property investing process done quickly, correctly and efficiently. You do not have time to invest in Property. You want to spend your time living your life your way. you want to do it all yourself. you don’t have any funds. you want bad performing individual deals from ‘property sourcers’ who don’t buy the properties they sell themselves. you want get rich quick schemes, Then Premier Portfolio Builder is Not for you. you want to pay huge upfront fees. you want to give away equity in your property.